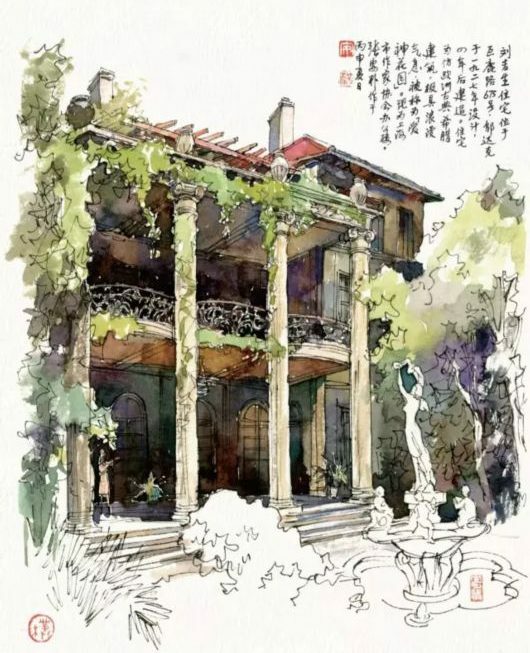 In the early 20th century, Shanghai saw a lot of western-style buildings being built, and now they are a part of this city’s special flavor. 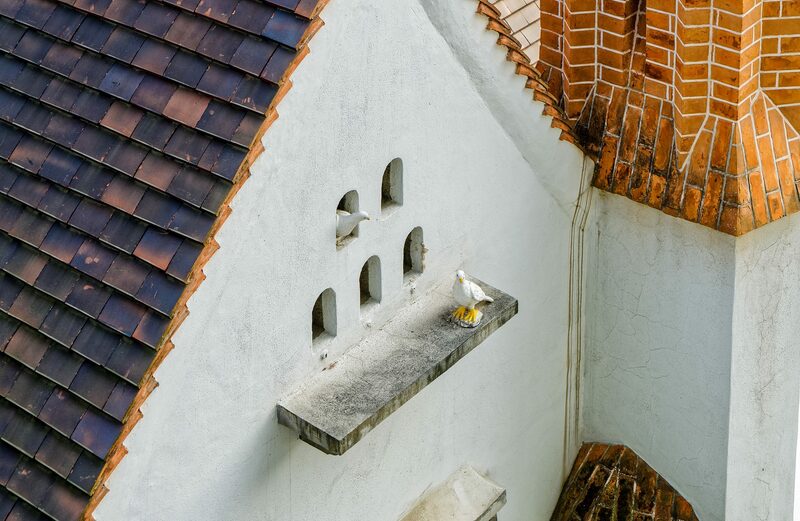 Among these historic buildings, a great many of them were designed by the Hungarian-Slovak architect, László Hudec. 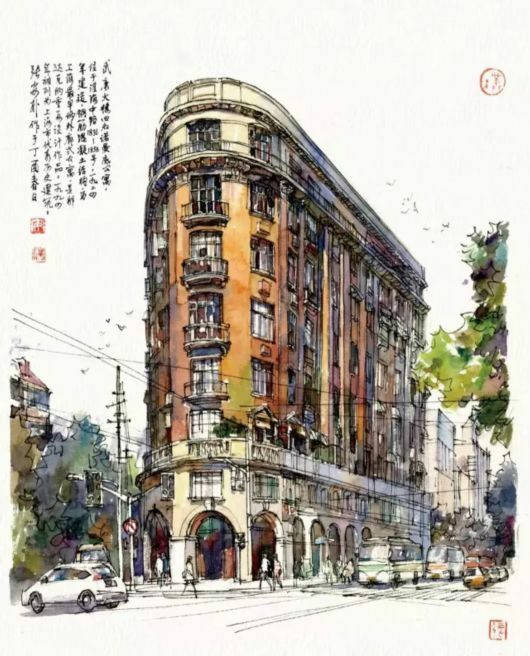 Here are some hand-drawn paintings of Hudec’s architecture in Shanghai. 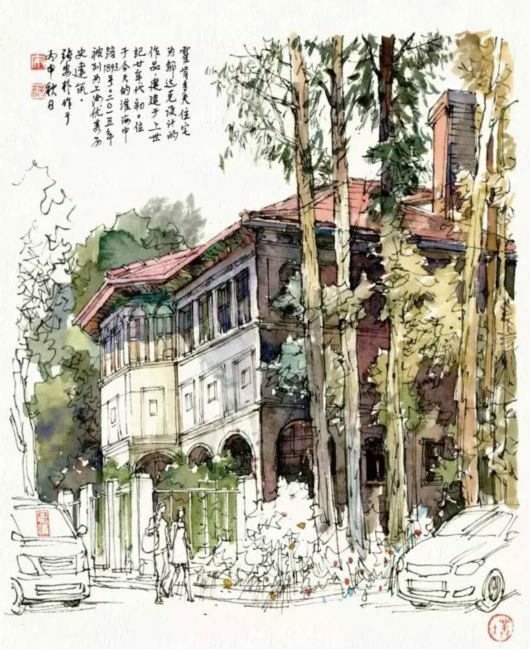 Located in No.333 Tongren Road, this house is called “green house” for its symbolic green-glazed wall tile. 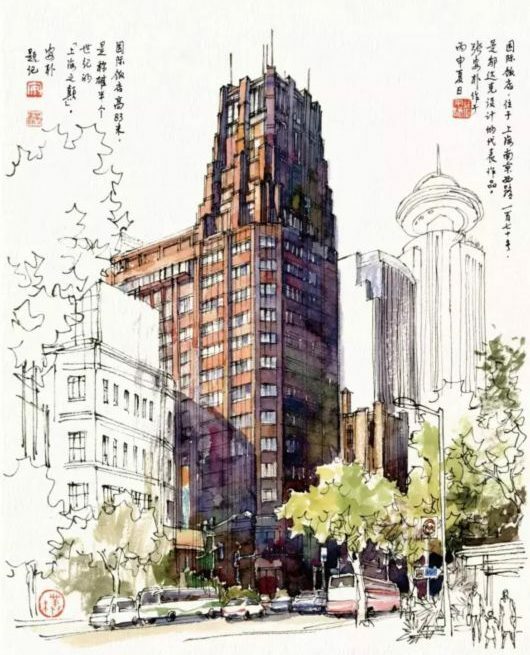 It’s now Shanghai Urban Planning and Design Research Institute. It’s a reinforced concrete structure with American Georgian style. It began the time of refractory brick being used as outer wall decoration in the 1930’s Shanghai. 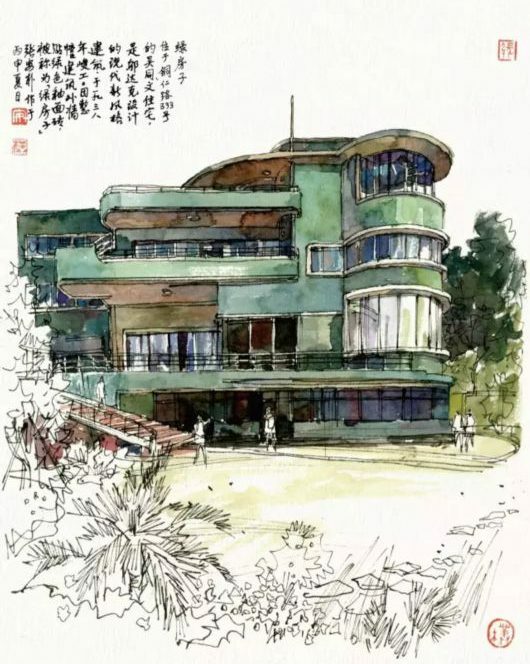 Formerly known as the Normandie Apartments or International Savings Society Apartments, Wukang Building was completed in 1924 and has been the residence of many celebrities. Built to commemorate the Normandie, a World War I-era battleship, the building looks like a ship from one direction. 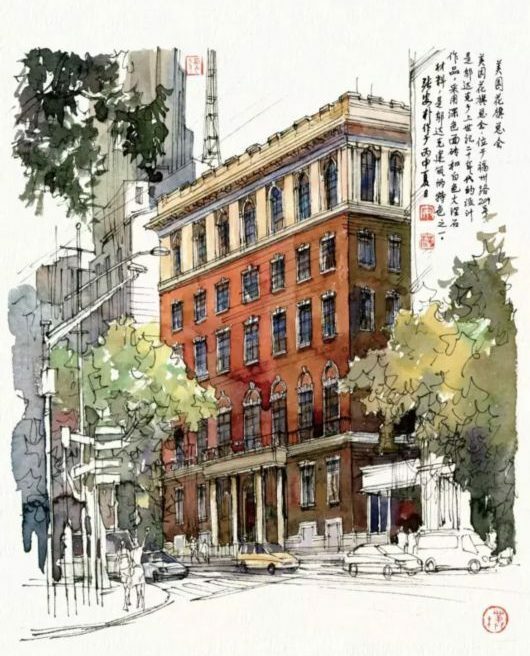 The address of the building is 1836–1858 Middle Huaihai Road. 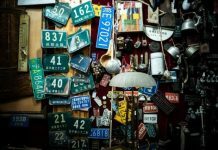 Take your time when you are walking around Shanghai, and always keep your eyes open. You never know what kind of architectural wonders you might be passing!